How I Became A Padi Instructor In Australia. Hey guys! My name is Kira, I am 20 years old and recently became a qualified PADI dive instructor. I took my first leap into the world of diving at age 14 while holidaying up on the Great Barrier Reef with my family. Within minutes of being down there I was in love, and after growing up in an ocean themed room, it was clear it was a place I really couldn’t get enough of. I began university in 2012 at the University of Wollongong studying a Bachelor of Marine Science/Media and Communications. Originally I planned to continue through uni and then become an instructor, but after a year and a half of numerous labs and lectures I realized a lab is not where I wanted to be, I wanted to be in the action, up close to all the ocean has to offer and I knew I was never going to be settled at uni until took on a scuba diving internship and became an instructor. That is what has landed me at Abyss Scuba diving undergoing my PADI MSDT internship. It really is the best experience I had ever had and has shown me being a scuba instructor is the best job in the world. What do you love most about diving? I am a huge lover of the ocean's creatures and the moment I see them, whether I’ve seen it before or its something new is such an exciting feeling that I can’t get enough of. The fact that you can be so close to species down there is awesome. It’s a never-ending world of discovery where every day is different and with every dive, there is the potential to be blown away by the ocean's wonders. What is your favourite type of diving? Honestly, I can’t say I have a favourite type of diving. I do really love exploring new sites but maybe as I endeavour through more dive courses I’ll find my niche. But for now, I love it all. What has been your favourite diving course so far and why? 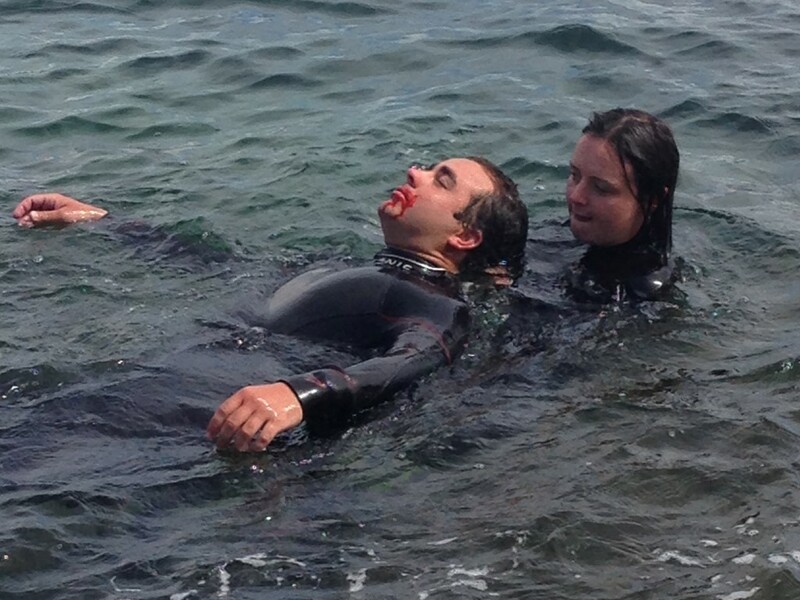 After completely my PADI IDC, I would have to say that has been my favourite course. I don’t think any course that sees me fulfil my dream of becoming a dive instructor will top that. It was an incredible feeling. It was a course that taught me so much and excited me for my career ahead. I couldn’t have asked to be trained through my PADI IDC by a better group of people (Carl, Pete, Nicole and Kat), you guys were awesome and I am really thankful! It was a course that challenged me but at the same time, I hadn’t had so many laughs in a course before. Why do you want to be a PADI Instructor? One – I remember the feeling I got the first time I dove, it was amazing and I can’t wait to be the person to introduce people into the world down under and witness them feel the excitement I did. 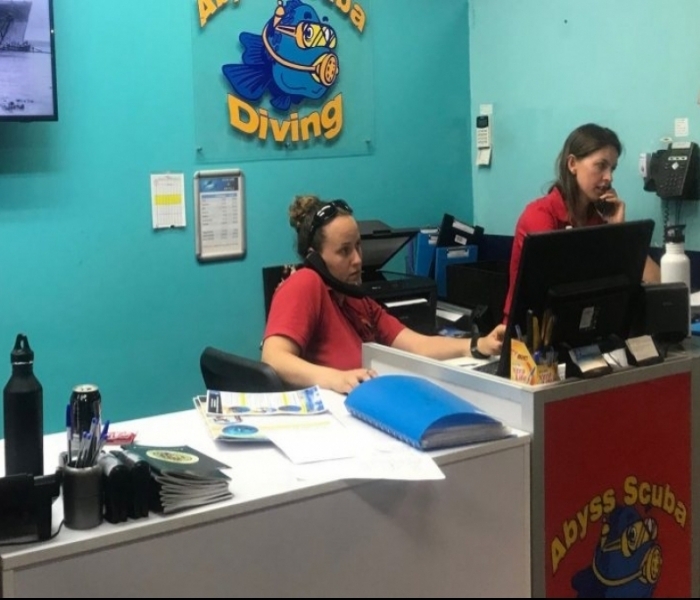 Two – I love diving, why not make a career out of something you love? Seems perfect to me. Three- Being a PADI instructor is recognized all over the world and being a PADI instructor is a great way to see the world as it allows you to work all over it. Why did you choose Abyss to do your Instructor training? I actually stumbled upon Abyss by chance over the Internet. 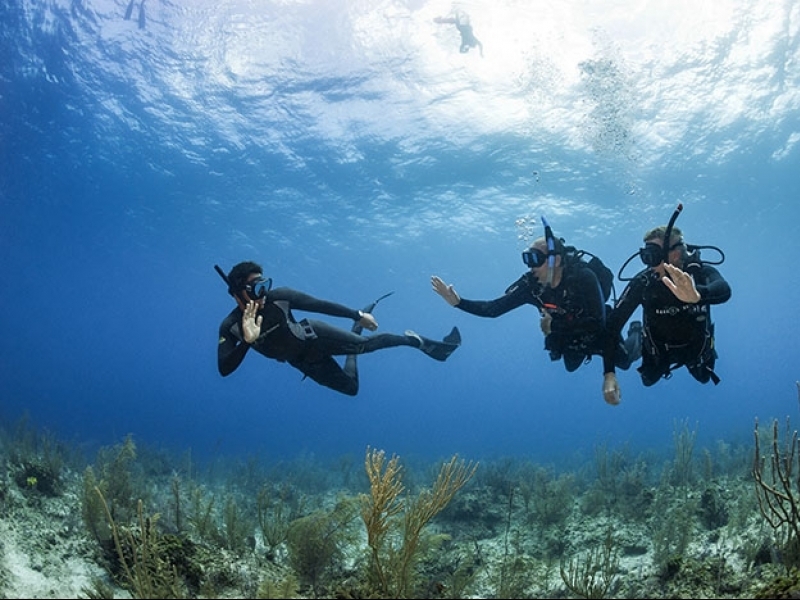 I was researching my options for a diving internship and came across these guys. I gave them a call and they were super helpful with any questions I had and guided me to the best option for me. Abyss has a great name within the dive industry so I knew these were the best guys to go with. I plan on travelling/working overseas for a bit, but I don’t see myself doing that long term. Long term I want to work in Australia and ideally Sydney just because of the great range of diving it does have to offer and It’s a great city. But as for 2 years time, I’m not completely sure where I’ll be. Just taking it as it comes.